Andrew joined Hawksmoor in 2018 after spending the previous 12 years working in the City of London. He started his career at Barclays where he spent 6 years before moving to Canaccord Genuity and most recently W H Ireland. Andrew manages a diverse range of client relationships including high net worth individuals, SIPPs and private companies. Originally from Glasgow, Andrew and his young family have relocated to the South West and are looking forward to the lifestyle change that Devon has to offer. Andrew’s interests outside of work are sport, especially rugby, football and golf as well as films and music. 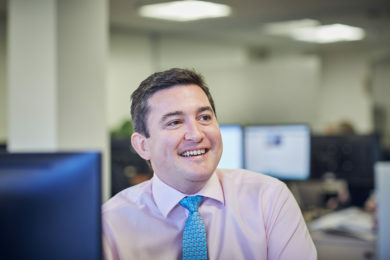 Andrew is a Business Law and Politics graduate from the University of Strathclyde and is a Chartered Fellow of the Chartered Institute for Securities & Investments.